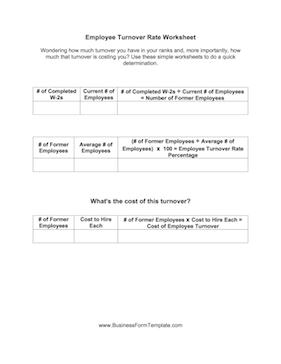 This Employee Turnover Rate Template helps you to calculate how rapidly your business is turning over employees, with an eye to how much this turnover is costing your business. Wondering how much turnover you have in your ranks and, more importantly, how much that turnover is costing you? Use these simple worksheets to do a quick determination.